After the rather unpleasant start in the week, I am holding on to the belief that it can only get better. I hope your week is going much better than mine. Today I have something to make every girl feel instantly better... Glitter! 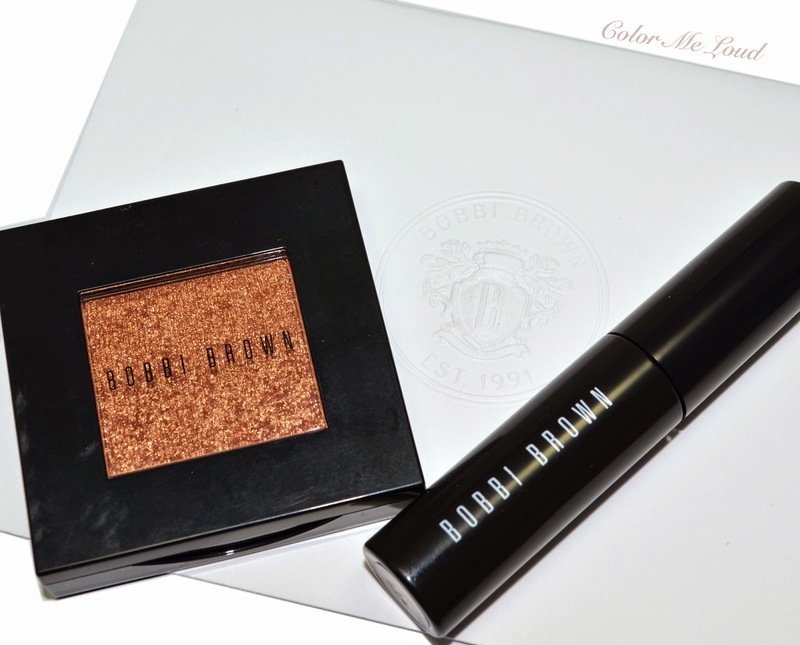 Bobbi Brown released their Illuminating Nudes Collection a few weeks ago. The Collection consists of new products and new shades to the existing products which will join the permanent range. Today I have Sparkle Eye Shadow #31 Golden Peach, a new shade for the existing Sparkle Eye Shadow line and a new shade of Natural Brow Shaper in Slate for you. It would be honest if I said I didn't use any eye brow products for most of my life. As I get older though, I have noticed some bald spots between my rather thick brows. It is one of the worst scenarios to have something thick and bald, believe me, it gets the attention to something you wouldn't like to show. A few years ago I started experimenting with different eye brow products to extend the only thing I had, a spoolie. As thick brows are rather hard to tame, I needed a brow gel. I have used tried different brands and most of them gave me the look as if I sprayed tons of hair spray on them. They stay in place but get very hard. I have put Bobbi Brown Natural Brow Shaper last week into test. I am delighted to say that this one has a natural finish as the name suggests. Compared to the gel I was using (Anastasia clear brow gel) it can hold my rather long brow hairs in place while not making them look wet or feel hard. One thing to note though, before I apply Natural Brow Shaper, I have to make sure that the brows are trimmed to a reasonable length or I end up having two times the thickness I have. I believe this effect is preferable for some who would like thicker brows though. 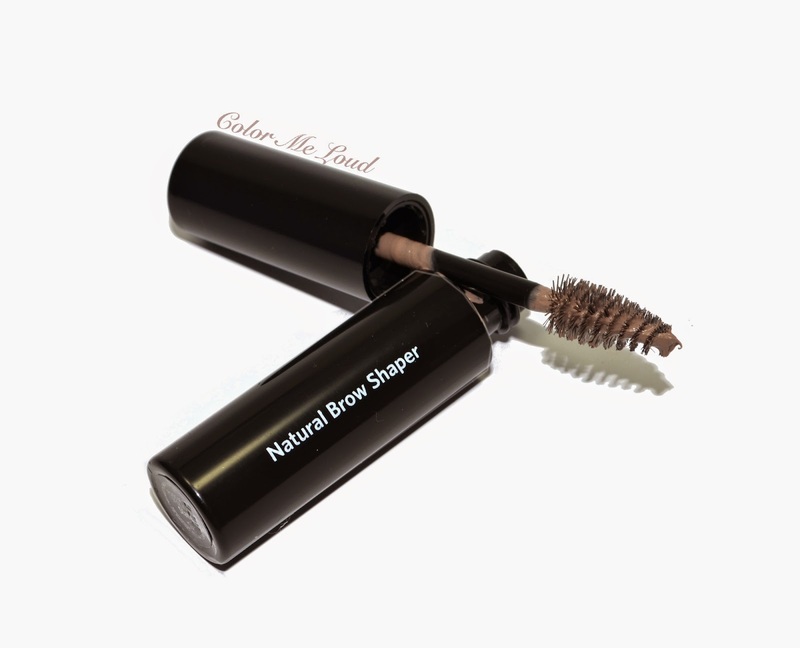 I have tried Bobbi Brown Natural Brow Shaper in shade Slate. With two new shades the line now has seven shades, Slate (new), Brunette (new), Auburn, Blonde, Mahogany, Rich Brown and one without color. Slate is a great shade if you are constantly searching for something cooler. See, I really like my Armani Eye & Brow Maestro #06 Copal (reviewed here) but after using it for sometime, I have the feeling that it is borderline warm for me. It still somehow works but if I go for a cool eye look, it starts looking out of place. I am also enjoying Burberry Effortless Eye Brow Definer #02 Sepia (review coming up soon) and feel that the shade of that one is spot on. Bobbi Brown Natural Brow Shaper in Slate is very close to Sepia, it is quick in the morning and saves me some minutes as filling and fixing is done in one step. The collection also brings a two new shades to Sparkle Eye Shadows, White Sand and Golden Peach. This is the first time I am giving Bobbi Brown Sparkle Eye Shadows a go. They come in signature rectangle Bobbi Brown compacts and the shade can be depotted easily by pushing up from the bottom of the compact. Sparkle Eye Shadows are pressed glitters which can be padded on other powder or cream eye shadows. The ones with the base colors can also be worn alone. 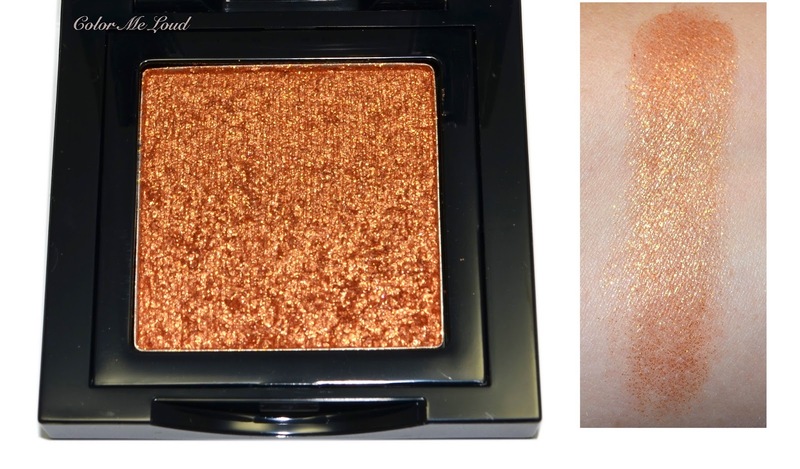 Bobbi Brown Sparkle Eye Shadow #31 Golden Peach is a peachy orange gold shade. It is not as red as copper but more gold with a hint of pink. If you have blue eyes don't walk but run to grab one. I would think such shades are more for Fall but there is something cheerful in Golden Peach which makes it suitable for Spring too. As for the application, I have tried different methods, such as dry application with cream eye shadow (synthetic) brush or wet application with the same brush and fingers. I found that the fingers work best with these to build up the intensity and minimize the fall out. Golden Peach didn't produce many fall out during the application with fingers although there were a few glitters under the eyes right after the application. During the day it stayed put and didn't migrate to my glasses or under the eyes which was rather impressive. Here is both products in action. I am wearing Bobbi Brown Natural Brow Shaper in Slate on the brows and Sparkle Eye Shadow #31 Golden Peach on the eyes combined with MAC Brun on the crease. I believe for a softer look it can also be just applied on its own. 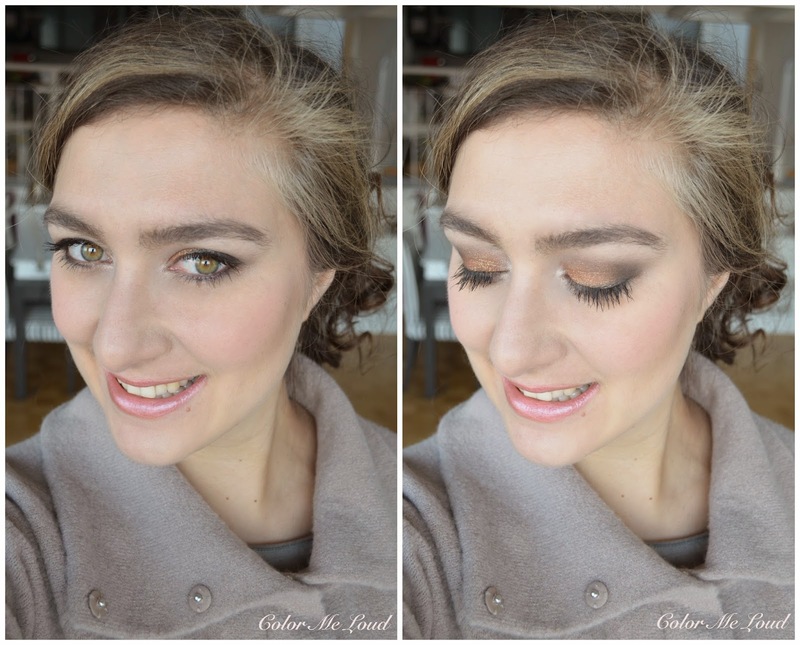 Below I am wearing Golden Peach as by itself all over the lid, right over Nars Pro-prime. Liner I am using for this look is Chanel Stylo Yeux in Ardoise. Here is the look in context. I have Tom Ford Flush on the cheeks and Tom Ford Lipstick in Luca from Lips & Boys on the lips. The eye shadow sings under some low light, such a beauty. I wish I could be able to capture that with camera. I am on my mission to find better lighting though. Oh and my base below is Tom Ford Traceless Perfecting Foundation #03 in Fawn. Expect a review of that this week, loving it to bits. Final thoughts: I am digging Natural Brow Shaper at the moment for an effortless quick swipe in the morning to fill in the undesired gaps. Sparkle Eye Shadow #31 Golden Peach is a lovely pressed glitter which is a little unusual for Spring time but works nevertheless, especially recommended for those who like their eyes twinkle. Availability/Price: The products are now available in Germany (and I believe elsewhere). Natural Brow Shaper retails for 22 € (4.2ml) and Sparkle Eye Shadows are 32 € each for 3 g.
Do you like wearing glitter during the day? It is really nice and it gives brows! Mine becomes a little too thick for my taste though lol. hi sara!! i'm so glad you reviewed these items. i have the same thought with my brows. i definitely need some parts of my brows to be filled in. the last brow product i used was max factor's clear mascara which was ages ago. they don't see max factor my way anymore. i definitely have been wanting to try bobbi brown's and armani's. but, i will need help picking out the color. i can't tell you how many makeup artists have turned my brows looking like joan crawford's!! i love sparkley, glittery eyeshadow, even for day. i use it all over the lid. i have deep set eyes so, i'm not sure how much sparkle you see but, for me, it's a must. i like bobbi's for spring very much!! i certainly hope you feel better!! i've been the same way. i'm thinking it's the dreary weather and, we're ready for the spring!! xoxo. p.s. have you seen the new gucci ad campaigns with model malgosia bella? oh my, i probably "butchered" her name trying to spell it. anyway, she's in february elle, harper's bazaar, etc. i love her makeup. 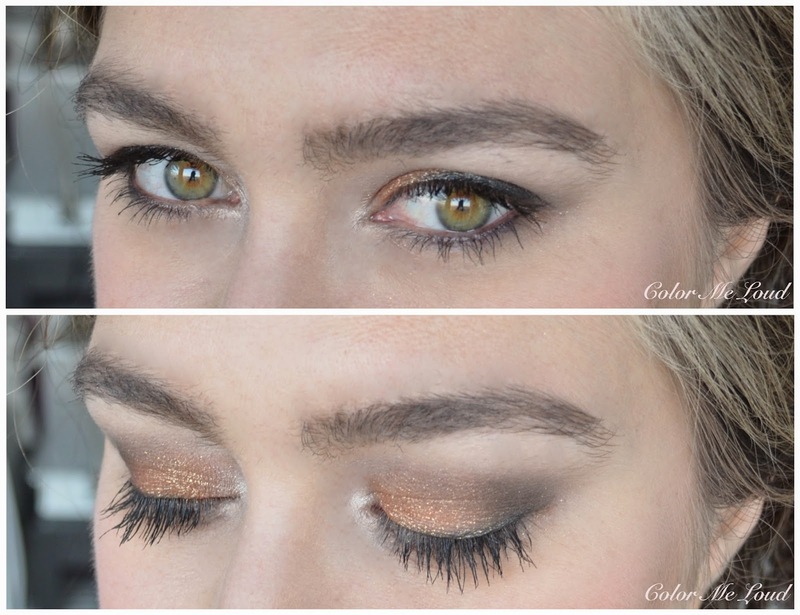 it's so bronzey, earthy, gorgeous!! if you see the ad, please let me know what you think. i'm going to try to find the colors she's wearing. i'm assuming gucci although, who knows?? i wondered if it was a new spring collection. it looks like she has peach/orangey on her lids. ....sara, i wonder if golden peach is considered an exclusive or maybe available in the european market only? i couldn't find this on bobbi's website. xoxo. you will probably like Brow product of Bobbi Brown, it gives full brows, fills up and also thickens. As for the color, I think they can help you at the counter best. It is very tricky to find the right color. 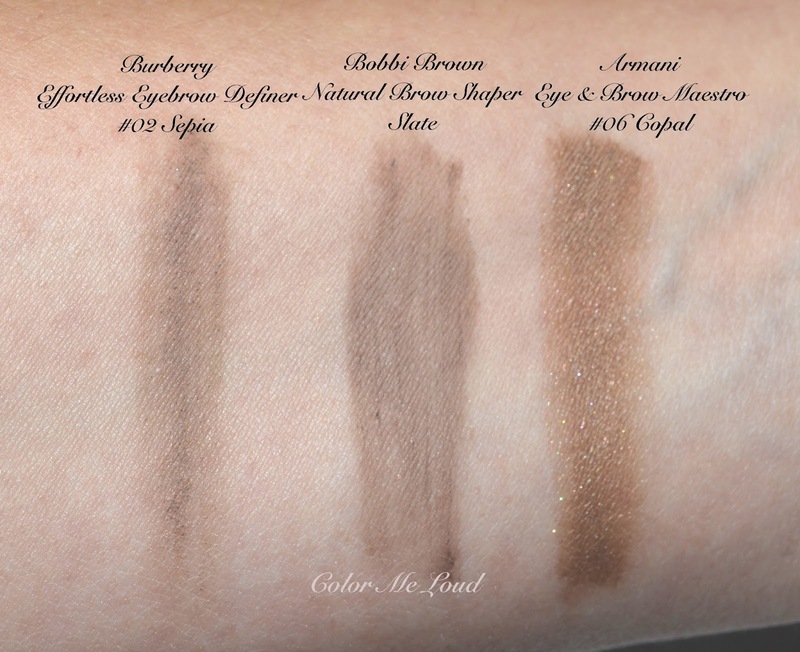 I have checked to find out that that particular shade is not released in the states but there are other shades of Bobbi Brown Sparkle Shadows. Actually it seems you got a nice palette instead of two single we got, you are luckier I think! That Gucci Ad rocks, I don't know if they used Gucci line to do the make up, but when I was at the counter I loved Gucci Bronzers. I certainly need one of them. Two of them are also very ashy, which I adore. 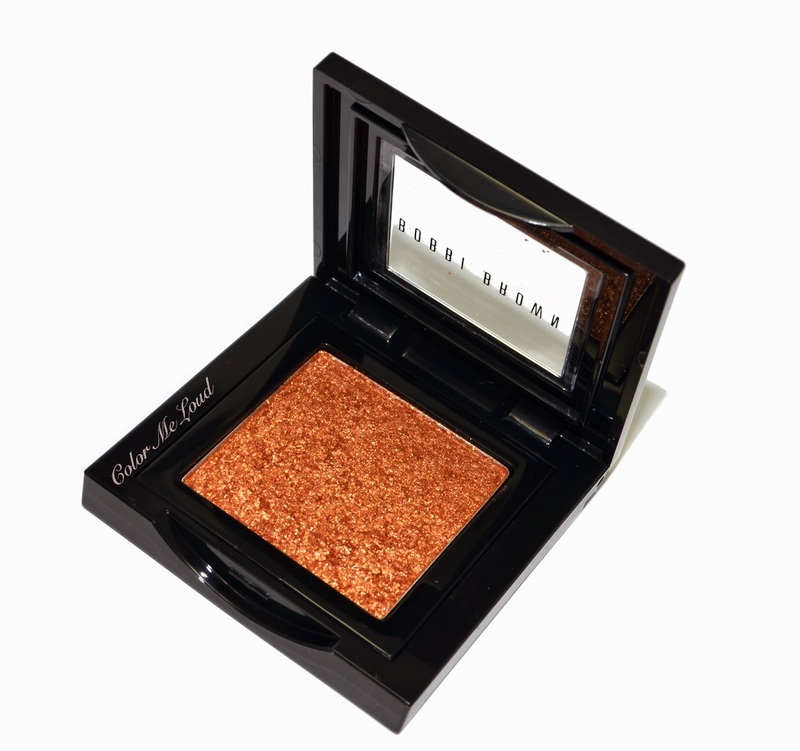 The Bobbi Brown Sparkle Eye Shadow #31 Golden Peach is so gorgeous! Love the color and it really makes the eyes twinkle. This is indeed a must try. I am enjoying it a lot, glad you liked it too. Oh I love Golden Peach! It's totally wear that one. LOL, yes it is very pretty. Wow, this golden peach (much more copper than peach, no ?) is amazing ! And looks beautiful on you ! yes it is between copper and gold but there is definitely a tad of peach in there as well. Man, look at that sparkly effect (of the shadow)!!! Just WOW! I'm totally diggin' it, Sara! I wonder what other colors they have. Off to check their website!